In the best tradition of the ugly duckling turning into a swan… here is what my new garden looks like right now. Mud. 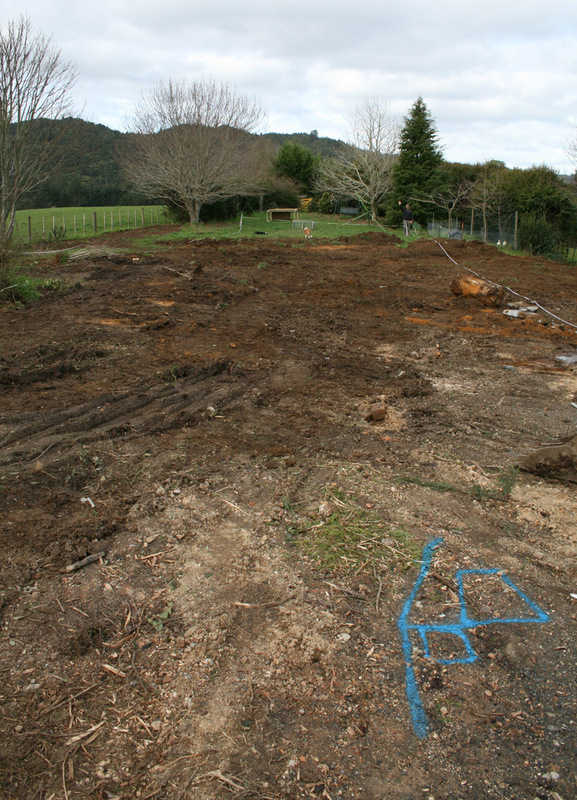 There’s lots of mud… and not a lot else, apart from a strip of white fencing tape to roughly mark out where my new formal sunken lawn will be. Yep, that’s the formal lawn I’ll be standing on in a big fat wedding frock in February. Begs the question really: does anyone make bridal-themed gumboots? Wedding gumboots!! Yes, they’re stocked at NZ Made Direct (42 Edinburgh St), in Pukekohe. Oh wow, that’s impressive … impressively bare! lol Can’t wait to see the after photo, I’m sure it’ll be amazing. It’s going to be an Amazing Garden for your wedding, Thanks for sharing with us =) really looking forward to seeing the progress..
Love your blog and and all the helpful tips you give. I am so looking forward to watching your progress! I can barely wait as I’m sure you’ll work miracles. Good luck with your project. I like the idea of flower towers, edible or not!